← Revisiting entertainment: new nightclubs, okay … new housing, not? At long last, the proposed Planning Code amendments for the Western SoMa area plan were released earlier this month. Planning Code amendments are where the policies of the plan get translated in to cold, hard zoning rules that apply to properties within the plan area. The rezoning map remains the same as previous versions. New commercial districts will run along 9th and 10th Streets from just below Mission Street to Harrison Street. A new neighborhood commercial district will run along Folsom Street, the new “main street” of Western SoMa, from 7th Street to 10th Street. Remaining properties north of Harrison Street in the Western SoMa area will be rezoned to residential and mixed use districts. Most of the area below Harrison Street will be rezoned to SALI – an extremely restrictive zoning district similar to the PDR districts of the Eastern Neighborhoods Plan. The north side of Townsend Street from 4th to 7th Streets will be rezoned to an office mixed-use district. Office Use. Similar to the Eastern Neighborhoods Plan, office use (and all uses) is proposed to be principally permitted in all buildings designated as landmarks, contributory to a historic district, or eligible for the California Register. The one exception to this rule is in the SALI district. In non-historic buildings, office is permitted on either the first or second floor in the commercial districts above Harrison Street, permitted without limitation in the office mixed-use district, and not permitted in all other districts. Residential Use. Residential use is heavily encouraged north of Harrison Street. In the commercial districts, almost no non-residential uses are permitted above the second floor. In the residential districts, non-residential use is either prohibited or only allowed up to a 1:1 floor area ratio. In the general mixed use district, retail is also limited in most cases to 10,000 square feet. No density limits apply to residential uses in these districts. SALI District. As expected, the SALI district is looking very similar to the PDR districts that were created as part of the Eastern Neighborhoods Plan. In the SALI, residential and office uses are not permitted. Retail uses are only permitted up to 25,000 square feet with conditional use authorization. Industrial, entertainment and arts uses are the most unrestricted uses in the district. Eastern Neighborhoods Process and Fees. 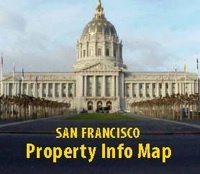 Projects within the Western SoMa plan area will be subject to Large Project Authorization from the Planning Commission, as was established by the Eastern Neighborhoods Plan. There are no proposed fees yet included in the Planning Code amendments, but it appears the Planning Department is considering applying the Eastern Neighborhoods fee to the Western SoMa area. Stabilization Policy. A stabilization policy has been an important goal of the Western SoMa task force since it was formed. Such a policy would “meter” the approval of new market rate project based on a maximum ratio of market rate to affordable housing and jobs to dwelling units. No stabilization policy has made its way into the proposed Planning Code amendments, and the staff report for the Planning Commission states that the Board of Supervisors is “requested” to enact such a policy after the Western SoMa Plan is approved. Design Standards. 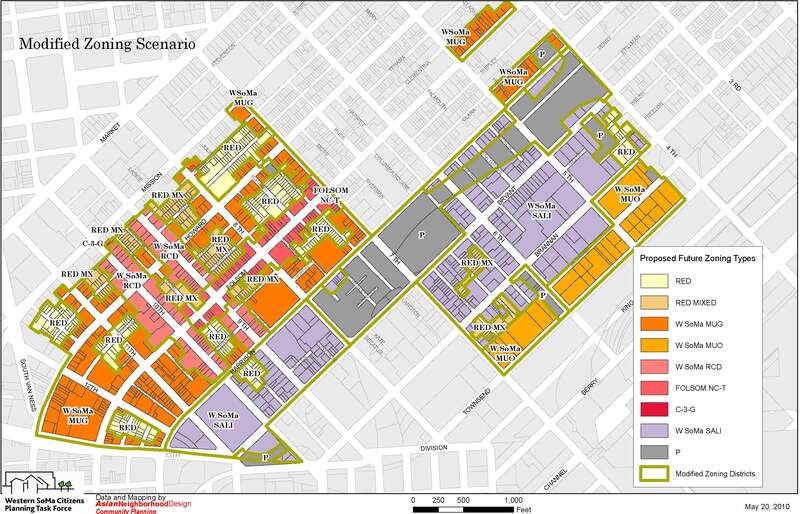 Area-specific design standards are proposed for the Western SoMa area. These standards will apply based on zoning district. There are also design standards that specifically apply to large site development. Adoption hearings for the Plan are scheduled for early 2012. We’ll keep you posted on the progress.